My last post was intended to give some context to the work that modern Biblical scholars do in order to give us the Bibles that you and I read. In short, I noted that, because writings in the ancient world had to be copied by hand, mistakes and intentional alterations were commonly made while the books that made it into our NT were copied. This leaves us with thousands of various manuscripts and fragments, many of which differ from one another in more than a few areas. What we have in our English NT are translations of copies that were made over a century after the originals were supposedly written. The earliest copy of Galatians that we have, for example, is dated to around the year 200 CE, some 150 years after the apostle Paul wrote the original. Thus, the problem that biblical scholars are attempting to solve with much of their work could be summarized as follows: How can we know what the originals of the NT books said considering what we have today are copies of copies of copies that were written much later than the originals and most of which differ from one another due to errors (or deviations from the originals) made by the copyists? I want to highlight some of the tools that scholars employ in order to help them solve this problem. (The following is summarized from Ehrman’s Misquoting Jesus). There are two categories of evidence that scholars look for when attempting to determine which readings are more likely to reflect the originals: external and internal. External evidence has to do with examining everything about the manuscripts themselves rather than what they actually say. Internal evidence looks into the content of each manuscript. Number – How many manuscripts support a given reading of a text? This criterion is rather straight forward. If more manuscripts support one reading over another then this counts as evidence for the reading that has greater representation being more original. However, in isolation this criterion offers us rather weak evidence. The fact that more manuscripts reflect a given reading over another does not ipso facto mean that that reading is more likely original. It simply means that the given reading was copied more than others. Age – How old is the manuscript? Older manuscripts are generally believed to reflect the original better than later manuscripts because it’s thought that texts get changed more with the passing of time. However, this criterion, like the ‘Number’ criterion above, must not be applied uncritically. Sometimes manuscripts that are in fact from a later time better reflect the original because they were copied from manuscripts that predate our oldest surviving manuscripts as well as the copies that the earlier manuscripts used. For example, a manuscript from the 8th century may have been dependent on a non-extant manuscript from the 3rd century whereas an earlier manuscript we have from the 5th century may have been dependent on one from the 4th. In this case, the 8th century manuscript would be considered more reliable despite its later date. Geography – Where was the manuscript written and how does it compare to manuscripts that originated in other areas? Readings that are attested to in multiple geographic regions are thought to be more reliable. If a number of manuscripts from Antioch, for example, support one reading whereas manuscripts from Alexandria, Rome and the region of Asia Minor support another reading then the reading from Antioch is thought to likely represent a local variation rather than the original. Reliability of the manuscript – Has the manuscript proven to be reliable in the past? After rigorously applying the above criteria as well as others to the manuscripts that we have for many years, scholars have been able to show that some manuscripts are more trustworthy than others. For example, if a manuscript from Rome represents one reading and a manuscript from Palestine represents another then scholars will take into consideration how both of these manuscripts have fared in the past with other variant readings. If the manuscript from Rome contains more variants that scholars believe to be reliable then this counts as evidence in favor of the reading in the Roman manuscript. Ehrman’s illustration is helpful: “When you know that a person is prone to lying, then you can never be sure that he or she is to be trusted; but if you know that a person is completely reliable, then you can trust that person even when he or she is telling you something you can’t otherwise verify” (kindle location 2089). Intrinsic Probabilities – What was the original author of this text most likely to have written based on writing style, vocabulary and theology? If a given reading contains words that can be found nowhere else in this author’s corpus or if the theology seems to contradict what’s known of this author’s theology from his other works then the reading under consideration is more than likely a later scribal addition. Transcriptional Probabilities – Which reading is likely to have been the result of a scribe’s redaction? The more problematic reading is likely to be original based on the fact that later copyists would want to harmonize or simplify any difficult passages they were copying. This criteria, which many scholars believe to be the most reliable text-critical principle, is summarized well in the following adage: The reading that best explains the existence of the others is more than likely to be original. I’ve always loved the story behind the Greek translation of the Hebrew Bible. It’s said that in the third century BCE Demetrius of Philerum, director of the renowned library of Alexandria in Egypt, petitioned King Ptolemy Philadelphus to have the sacred Jewish writings translated into Greek in order to fill an apparent gap in his library’s shelves. King Ptolemy, having a passion for the world’s religions himself, granted the request and so had a delegation sent to Jerusalem in order to recruit the most learned of the Jewish scholars and scribes. The tradition has it that 72 men in all agreed to undertake the colossal task of translating the sacred scriptures. Each of these 72 scribes, it is said, translated the text independently of one another, waiting to compare their finished products until all of them had completed the task. By what could only have been an act of God himself, each of the 72 translations are said to have been identical. The Septuagint, as this great literary work would be called, was clearly a divinely inspired translation. From a historical perspective this story is suspect for obvious reasons. Most scholars posit that, rather than emerging at the behest of a gentile librarian, the Septuagint (which is abbreviated as “LXX” – the Roman numeral for 70) was probably developed over the course of a few hundred years primarily by Alexandrian Jews who were increasingly desirous of a more readily accessible body of Scripture in light of the fact that Hebrew, the language of the ancient texts, was no longer spoken. The lingua franca, thanks to the Hellenization of the Mediterranean by Alexander the Great, was now Greek. 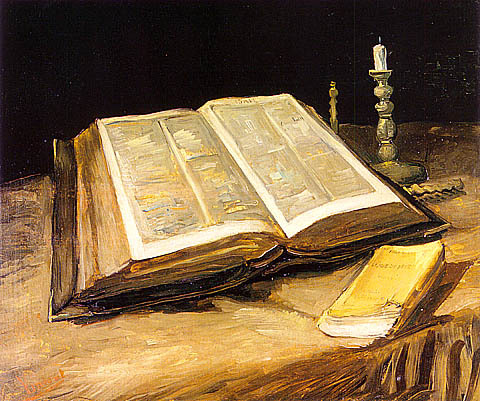 Despite being developed in the Jewish community which no doubt found considerable use for it, the LXX would be far more influential in the Christian community that would emerge some 300 years later (a reality that would cause later Jews to regret the fact that their Scriptures, having been translated into a language that was spoken throughout the gentile world, had fallen into the wrong hands). The “Bible” that all of the writers of the NT would have been familiar with is the LXX. Paul’s famous statement about Scripture being “God-breathed” (2 Tim. 3:16) is a reference to the LXX, not the Hebrew original. All of the OT references we find in the gospels intended to show Jesus as the fulfillment of the Law are quotations from the Greek LXX. This last point is especially interesting when one considers the disparity between the LXX and the original Hebrew text. For example, the Hebrew of Isaiah’s famous prophecy about Immanuel can be rendered this way: “Look, the young woman is with child and about to give birth to a son. Let her name him Immanuel” (7:14). The scribes responsible for translating the LXX took the liberty of translating the Hebrew word for “young woman” into the Greek word parthenos which means “virgin.” Not knowing the original Hebrew and convinced that this prophecy was foretelling Christ’s birth, the gospel writers concocted a fabulous story about Jesus being born of a virgin. You may have heard of it. It could be argued that the entire doctrine of the virgin birth, a doctrine that is now forever enshrined in the creeds of Christendom, is based on a mistranslation! To make matters even more complicated, the earliest copies of the Hebrew text we have are those of the Masoretes from the 7th to 11th centuries CE. The Masoretes, being faithful preservers of the oral tradition of the Scriptures that were passed on from generation to generation, decided that it was time their tradition be put on paper and so they transcribed the documents that we use today for the translation of our own English Bibles. The fact that we consider the Masoretic Hebrew text to be the authoritative version of the OT is based on the (not small) assumption that the Hebrew oral tradition was indeed successfully passed down from generation to generation completely untarnished. In fact, modern Christian translators are so committed to this assumption that we overlook the fact that the LXX predates the Masoretic Text (MT) by over 1,000 years! Could it not be argued that even though the LXX is a translation of a more original textual tradition it nevertheless ought to be considered more reliable than the MT simply because of its much earlier date of composition? Many Evangelical Christians today claim that we ought to defer to the tradition of the Church when faced with difficult matters such as the status of homosexuals in the community of faith or the nature of the atonement. But if we are going to claim tradition as a source of authority then should we not be translating our English Bibles from the LXX since that is what the early church (not to mention the writers of the NT!) considered inspired? Some of these same Evangelicals boldly proclaim that every book that we have in our canon as Protestants (and only the set that we have in our canon) is without error. Again, where does that leave our sisters and brothers from the early Church (or the Eastern Orthodox tradition which uses the LXX)? Personally, what I would advocate is not that we choose one of the two ancient textual baskets to put all our interpretive and lexical eggs in (although I think, if this is the route we are going to continue to travel, a strong case could be made that it ought to be the LXX over against the MT) but rather that we adopt a more fluid and organic understanding of what Scripture is to begin with. Doctrines like the inerrancy or infallibility of the Bible (but especially inerrancy) become increasingly difficult to hold the more one digs into the history of what we now call the Bible. Not only does one have to assume the original authors were inspired but also that each scribe, redactor, compiler, translator, and Church official responsible for ultimately making the Bible what it is for us today were inspired as well. That’s a lot of fallible and errant human beings involved in making up what some consider to be an infallible and/or inerrant group of texts. Indeed, that’s the stance some choose to take which I find not only incredibly difficult to defend but also completely unnecessary. The doctrines of infallibility and inerrancy both attempt to protect the divinity of the Bible in the face of its all too human of origins. To say that the Bible is divine and is, therefore, without error is to make the same mistake as those throughout Church history who asserted that Jesus was so utterly divine that some part of his human nature must have been done away with and replaced with pure divinity, be it his will, his ego or whatever. Luckily, the councils did away with such thinking and the Church continued to affirm the paradoxical union of humanity and divinity in the person of Jesus. The point of the incarnation, at least as I see it, was not to show us that humanity could be replaced with divinity, as if the two were at odds, but rather that to be fully human is precisely what it means to be divine. The two categories are two sides of the same coin. God is to be found no where but right here in the midst of this chaotic, messy and complicated story that we call human history. Thus, the fact that the Bible is complicated and does indeed have mistakes whether historical, scientific or even, dare we say, theological, is precisely the point! We ought to expect nothing less (or perhaps, more) of a book that bears witness to this messy, mysterious and complex God. To say that Scripture is inspired is to say that, in a unique way, it bears witness to the God we believe was fully revealed in the person of Jesus. To say it is authoritative means that as a body of believers we are committed to reading the text and rereading it, both devotionally and liturgically, wrestling with it, discussing it over a meal, and maybe even at times disagreeing with it but never, despite all the frustrations it may cause us, doing away with it. In other words, the authority of the Bible is not something it inherently holds but is something we grant it as the Church. The Bible is authoritative because we say it’s authoritative and we need no reason beyond that. And none of this has anything to do with whether or not there are any mistakes in the Bible or if it’s scientifically or historically accurate or if the virgin birth was based on a mistranslation. To close I’ll say this: I have a love-hate relationship with the Bible. For so many reasons I am frustrated to no end with what I find in it–the violence, misogyny, exclusivism, etc. Most of the time these frustrations keep me from even cracking it open as much as I probably should (and when I finally do I’m usually left cursing under my breath). But regardless of my frustration I remain fascinated by the story this book tells. I think it has the potential to allow us to catch a glimpse of a reality that is much greater than the status quo. When it is enacted liturgically I think it offers us an opportunity to take part in something bigger than ourselves, something that calls us beyond the as-is structures of the societies we live in today. One of the first things I realized when I became a Biblical Studies major is that reading the Bible isn’t as easy as many make it out to be. That’s because reading the Bible requires that we interpret what we’re reading and interpretation is a tricky endeavor. It’s tricky because every one of us brings a whole wealth of prior knowledge, experience, biases, etc. to the table when we read the Bible. A helpful illustration is the idea of a pair of glasses. Each of us, when dealing with the Bible, reads the text through a pair of lenses that we have on. The lens through which you read the Bible is composed of your own biases, past experiences, theological tradition, former conversations with people of influence, etc. All of these serve as a framework for you to make sense of the words you read in the Bible. They make up your lens. So when we when read the Bible we’re not reading it objectively. We’re reading it from a very particular perspective. That means that whatever interpretation we derive from the text is automatically going to be a subjective interpretation, one that’s been influenced by the lens through which we have read the Bible. No matter how sincerely we pray for God to grant us the “correct” interpretation when reading the Bible we have to recognize that whatever we end up with will be dependent upon our own lens. There’s no such thing as divine objectivity when it comes to reading the Bible. This is why proof-texting is not a good way of engaging in conversation about difficult issues. Proof-texting is when your friend quotes Genesis 1 as if that somehow settled the evolution debate. Proof-texting is often accompanied by statements like “It’s as clear as day in the Bible” or “The Bible clearly says in such and such a passage that….” The problem with quoting any Bible passage as if it settled any debate is that no Bible passage is self-interpreting. You and I could read the same Bible passage and derive totally different meanings from it. That’s because the Bible doesn’t say anything. It’s a book. You actually have to read it and interpret it. Proof-texting ignores the fact that reading the Bible is more complicated than quoting a Bible passage as if it settled the issue. The proof-texter fails to acknowledge the lens through which the text under consideration is being read and understood. Something we all could do a little bit more of is owning up to our own biases and presuppositions. We all need to acknowledge what our own lens looks like. Being faithful to the Bible must include our being critical of, and even at times disagreeing with the text under consideration. The Bible doesn’t speak with one voice. God has to be at least as nice as Jesus (compliments of Tripp Fuller over at Homebrewed Christianity). The Bible and science are not at odds with one another. Biblical interpretation must always translate to a more loving and inclusive response to those who are different than us (otherwise it’s disqualified from being a “correct” interpretation). Liberation of the oppressed is a major theme of the biblical narrative. When I read the Bible I read it with these assumptions. I recognize that, because of these biases, my reading of the Bible is highly relative and subjective. Subjectivity is not something we ought to fear, however. All knowledge is situated knowledge, that is, everything we know about the world is conditioned by our own personal experience of the world. This reality is not necessarily good or bad…it just is. Thus, since we can’t avoid them, it’s time we start owning up to our own biases so that when we address the difficult issues of our day we can better understand where everyone’s coming from. What’s your lens? What are the assumptions that you bring to the table when reading the Bible? Divine omnipotence isn’t my favorite doctrine. Omnipotence literally means “all powerful.” Of course, if God has all the power then that means that there is no power left for us to have. Thus, everything that happens is the result of God’s action. When we read the newspaper each day we are reading about what God has decided to do with the world as of late. All of history is the result of God’s will–even the bad stuff. Sin, too, must find its origin in God. This may sound absurd to some but, believe it or not, many believe this. What is more, those who hold this view still want to suggest that God blames sin on humanity (and will punish most of us in hell because of it) despite the fact that he predetermined it to happen in the first place. This is, of course, paradoxical (and disturbing). It’s important that we ask ourselves at this point: Is omnipotence actually a biblical doctrine? Well, it is impossible to deny that there are some passages in the Bible that would seem to indicate that God is indeed in absolute control of everything. A biblical case can be made for divine omnipotence. However, it is important for us to note that the Bible does not speak with one voice on this issue. I would suggest that there are many more passages that suggest that God calls someone to do something and then allows them to respond however they wish. The story of Jonah could be employed as an example. God desires Jonah to preach to Nineveh and Jonah initially refuses to do so. Moreover, it seems that as the scriptural narrative progresses we see more and more that God acts persuasively rather than coercively. Paul’s understanding of the Spirit of Christ is that he lives in us. That is, God acts from within his creatures by means of persuasion rather than from without by means of coercion. A great deal of our understanding of God as omnipotent comes from one of the names of God that we find in the Old Testament, namely, “God Almighty” or “the Almighty.” This title shows up quite frequently in Job. However, it is important that we realize that this title is a translation of the Hebrew title “El Shaddai” which is actually a proper name. El Shaddai is understood by scholars to mean “the breasted one” and has no connotations of omnipotence or almighty-ness. This proper name began to take on connotations of omnipotence when translators of the Septuagint (the Greek translation of the Hebrew scriptures) translated it as “Cosmocrator” which means “ruler of the universe.” Our understanding of God as “the Almighty” is the result of this (mis)translation. Update: Given a few of the comments that resulted from this post I thought it would be worth noting that what we find in the LXX is the beginning of the shift that led to us understanding “El Shaddai” as implying omnipotence. As Silas and Nicholas pointed out, the Latin Vulgate comes close to universalizing the improper translation of El Shaddai. Due to the fact that our translations rely quite heavily on the tradition of Jerome’s translation, we find this same mistake in many of our Bibles today. Unfortunately, “the Almighty” has become our most common title for God in our liturgies despite the fact that it is a title and, I would suggest, an idea that is foreign from the biblical witness. Okay but can’t the problem of omnipotence be solved by saying that God has chosen to limit himself? Many would suggest that this is indeed the appropriate response. By affirming God’s self-limitation one can hold on to divine omnipotence without chucking human free will out the window. God technically has all the power, proponents of this view would say, but for the sake of loving relationship with his creation he has chosen to limit himself. First, this response doesn’t adequately deal with the problem of evil. If we say that God technically has the power to stop evil but refuses to do so then we must ask why he would do such a thing. We would certainly expect another human being to put a stop to violence and evil if it is within their power to do so. Should we not expect the same of God? Secondly, this question assumes that God acts coercively. As we noted above, it seems like the overall thrust of the biblical evidence would suggest that God works on us internally in such a way that does not override our capacity to make decisions. It seems better to me to suggest that no event is the result of a single cause. Instead, there are many causes to each event and God is one of those causes. What God works to do is to empower us, to liberate us, to teach us, to guide us, to persuade us to choose the good in each moment. How we choose to respond to these divine nudges is, ultimately, up to us. So is God all powerful? Yes and no. No: if our understanding of God’s power is that it is coercive then I do not believe God is all powerful. Yes: God is infinitely persuasive and persuasion, I would suggest, is more powerful than coercion. *The above is a summary of a portion of John Cobb’s lecture entitled Process Theology: An Introductory Introduction which can be found towards the bottom of this list of lectures.